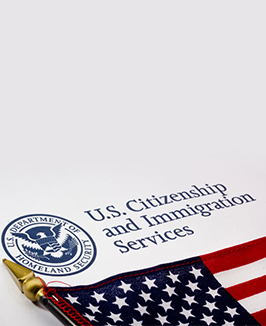 A lawful permanent resident is an individual who has been given the permission to settle and work in the United States on a permanent basis despite not being a citizen of the country. Lawful permanent residents are usually given green cards which contain unique numbers which identify them as permanent legal residents. Lawful permanent residents enjoy nearly all the rights that citizens enjoy. However, they are not allowed to vote or bear arms or engage in a few other activities. However, they are eligible for benefits such as the right to apply for government-sponsored aid if it’s meant for education, the ability to leave the country and then come back without running the risk of being denied entry. Lawful permanent residents do not need to worry about the expiration of authorized stay, since the Green Card has a lifetime status. However, proof of the Green Card (the physical card itself) is valid for ten years, after which the holder would need to pay for a renewal. Lawful permanent residents benefit from Social Security once they retire, provided that they had worked for ten years or more prior to retiring. Finally, lawful permanent residents are also protected against changes in immigration rules which could negatively affect their status. Once they get a Green Card, any immigration changes that might be negative to this (including measures to make it temporary instead of permanent) will only affect the Green Card holders who apply for them from that point onward. The ones who already had lawful permanent residency at that point would be immune from such laws.